Product liability law covers situations in which a consumer is harmed by using a defective product. The injured party may be able to recover damages under multiple theories of liability, including negligence, breach of warranty, and strict liability. Every company involved in the product’s development and sale is a potential defendant from whom the injured party can seek compensation. John B. Kenison, Jr. meets with people in need of a product liability lawyer from his law office located in Manchester, NH. He has a working knowledge of New Hampshire law as it relates to product liability. This is important because the rules governing these claims are complex and they vary from state to state. Please contact our office for more information. From household appliances to prescription drugs, there is no limit to the kinds of consumer goods that can contain a dangerous defect. If you have been injured or adversely affected by a faulty product, mislabeling, or any other aspect of product liability, a product liability lawyer can help you recover compensation for medical bills, lost wages, and other types of compensation. Instead of steel belting, the tire contained an inferior substitute material. This is known as a design defect. The adhesion process used to assemble the tire components at the factory was not conducted properly. This is known as a manufacturing defect. 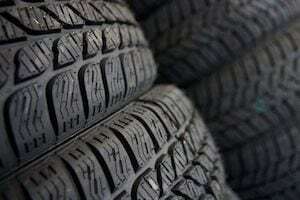 The sidewall of the tire displayed a recommended air pressure below the appropriate range, resulting in an under-inflated tire. This is known as a labeling defect. Each one of these defects can form the basis for a product liability claim. Defects can also take the form of missing warnings, inaccurate instruction materials, and marketing that suggests an improper or dangerous use of the product. When certain condition are met, the plaintiff in a product liability lawsuit can hold the defendants strictly liable for the harm caused by the product. This works to the plaintiff’s advantage because less evidence is required to prove strict liability compared to an ordinary negligence claim. For example, a car accidents lawyer cannot win a lawsuit by merely showing that the defendant crashed into the lawyer’s client. Negligence requires more evidence. The lawyer must also prove that the defendant made a mistake behind the wheel. This can be tricky if other factors (bad weather, potholes, road construction, etc.) may have contributed to the crash. Unlike negligence, strict liability does not require the plaintiff to prove that a mistake was made. The plaintiff is not required to prove it, because it goes without saying. Obviously a mistake was made. How else could a product with a dangerous defect wind up on the store shelf? Strict liability also removes the burden of proving exactly who made the mistake. The plaintiff is allowed to sue all of the parties involved in bringing the product to market. Then, after the plaintiff is compensated, the defendants can sort it out among themselves to figure out who was responsible for the defect. Injury victims should be aware that a number of defenses exist that can be used to refute a product liability claim. The other side may argue that the product was altered sometime after it was sold, that it was not being used as intended, or that it did not cause the victim’s injuries. Issues will also arise if the victim bought the item from a private party who is not in the business of selling that type of product. In these circumstances the victim may lose the right to invoke strict liability, or in some cases, the right to recover damages altogether. From household appliances to prescription drugs, there is no limit to the kinds of consumer goods that can contain a dangerous defect. Get in touch with Kenison Law Office for advice on your situation.